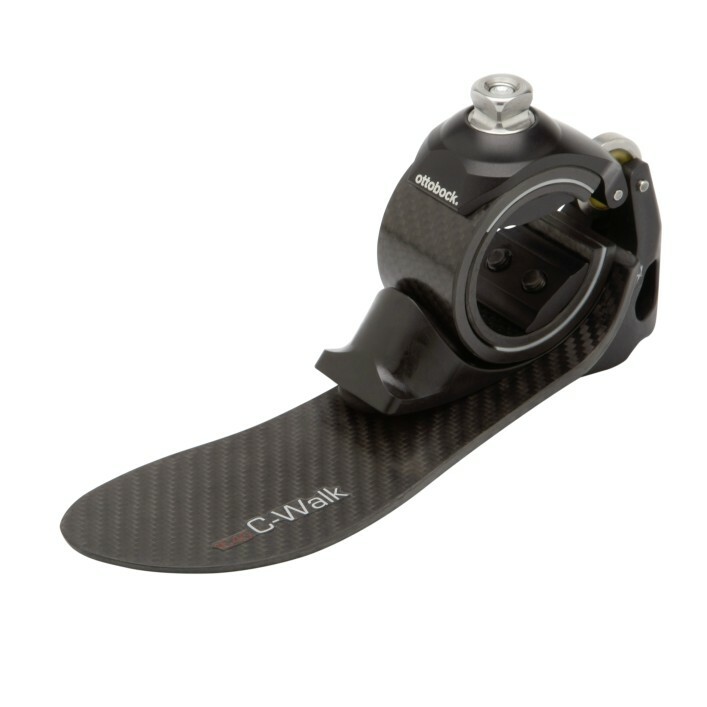 The C-Walk carbon fibre prosthetic foot supports a symmetrical gait pattern with simultaneous reduction of strain on both sides of the body. 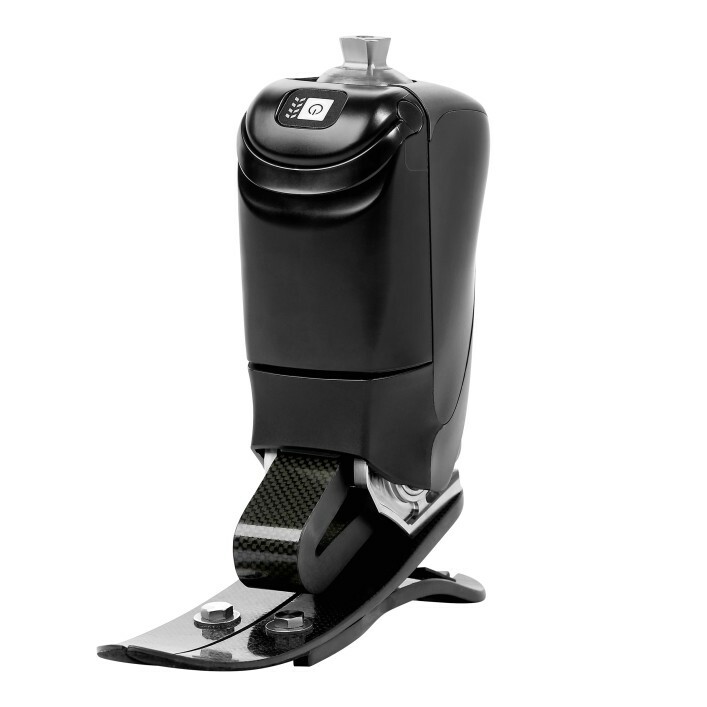 Offering a broad range of functions, the Challenger sport foot is suitable for a wide range of team, field and running sports and excels thanks to its customisable functionality. 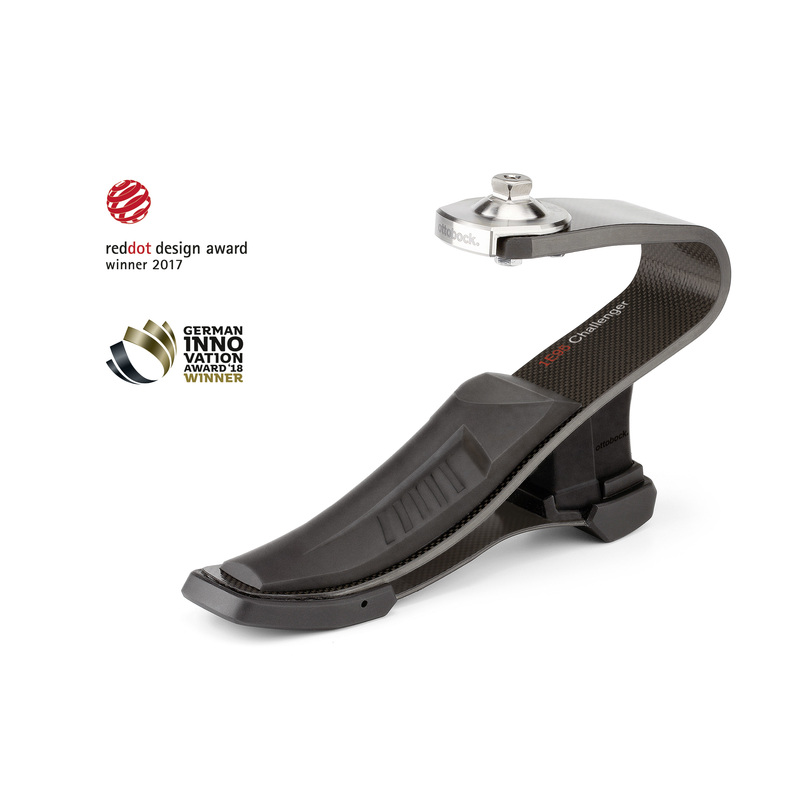 The 1D35 Dynamic Motion prosthetic foot makes a nearly natural gait pattern possible for amputees thanks to optimised mobility. 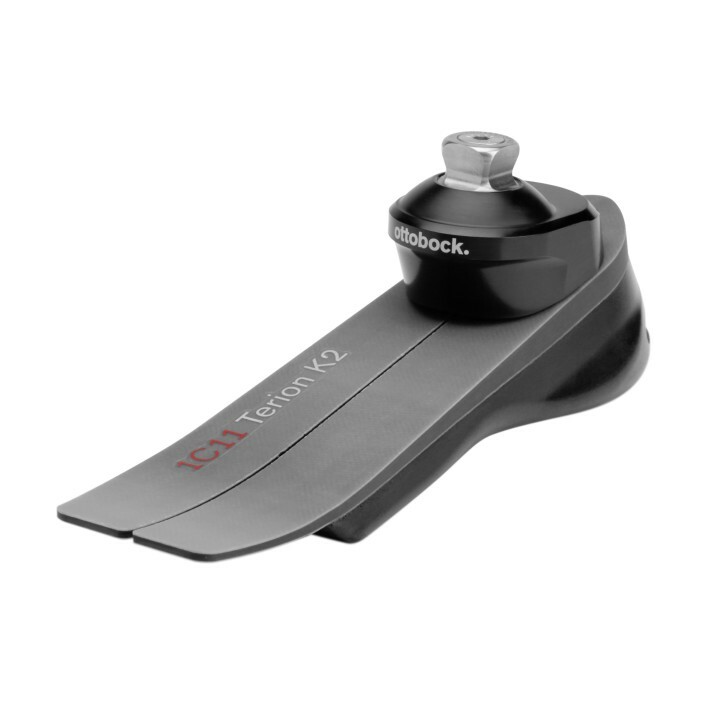 The 1K10 dynamic foot for children offers easy rollover and a good energy return. 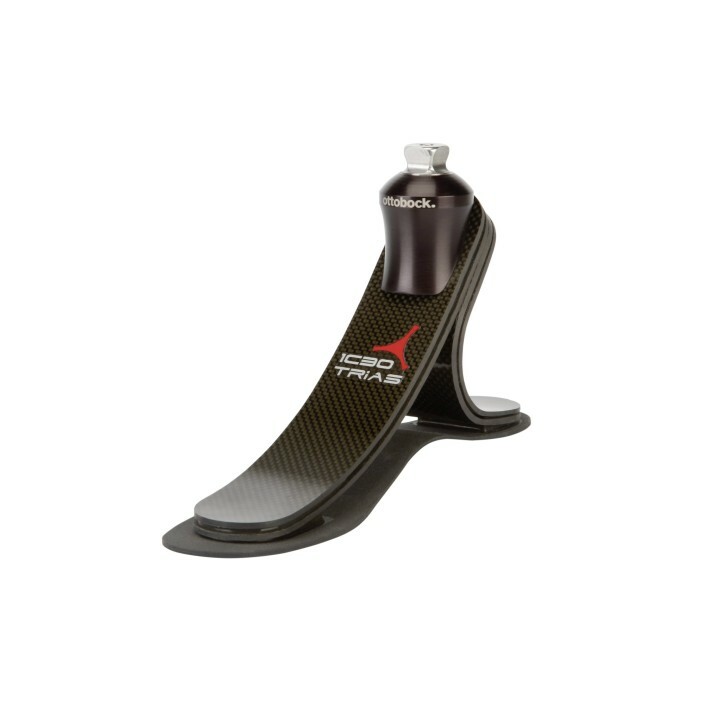 With its powered propulsion the Empower Ankle emulates lost muscle and tendon function, mimics physiological ankle movement and automatically adjusts to different surfaces. 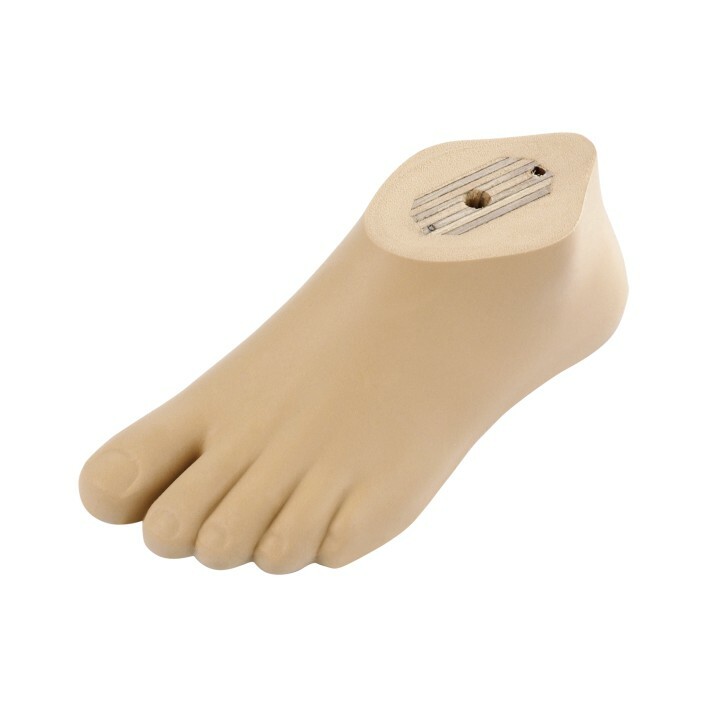 The highly customisable Meridium prosthetic foot comes closer to the movements of the human foot than any other. Thanks to its highly modern design and sensor technology, it adapts to all surfaces and everyday situations in real time. 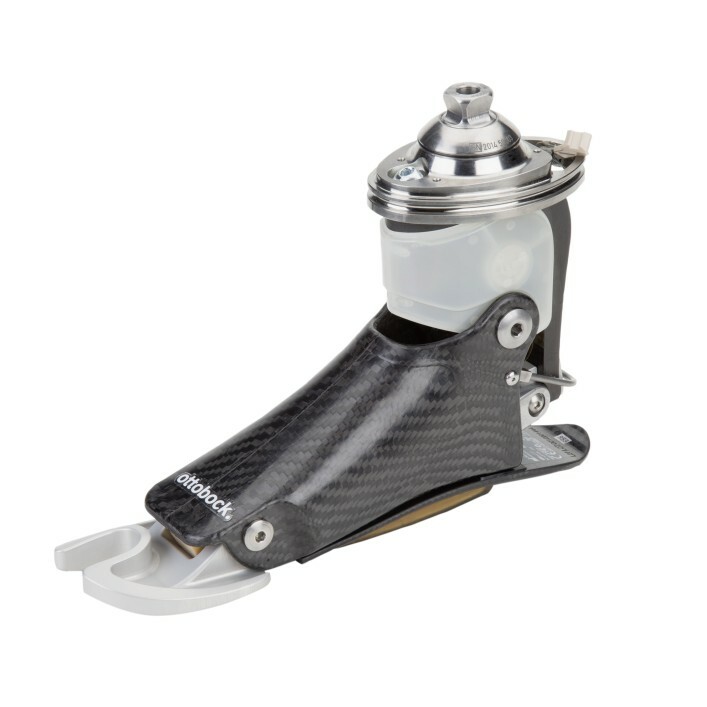 To date, carbon fibre technology was used primarily in fittings for highly active prosthesis wearers. But users with a moderate activity level can now also benefit from the advantages of the carbon material that forms the basis of the Terion. 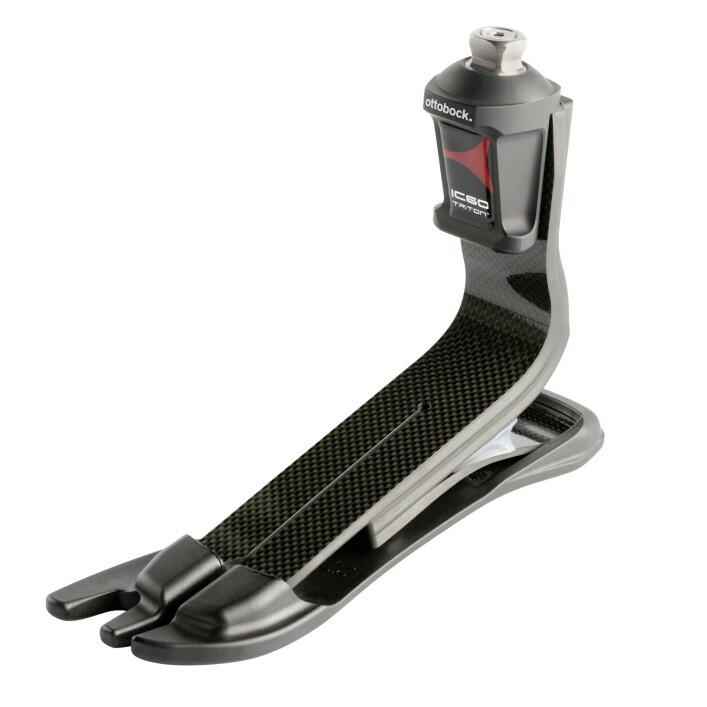 With the Terion K2, Ottobock has developed a prosthetic foot for people who would like to maintain their mobility in everyday life. It establishes itself as a functional and reliable companion for the user, helping to surmount the major and minor challenges of everyday life. 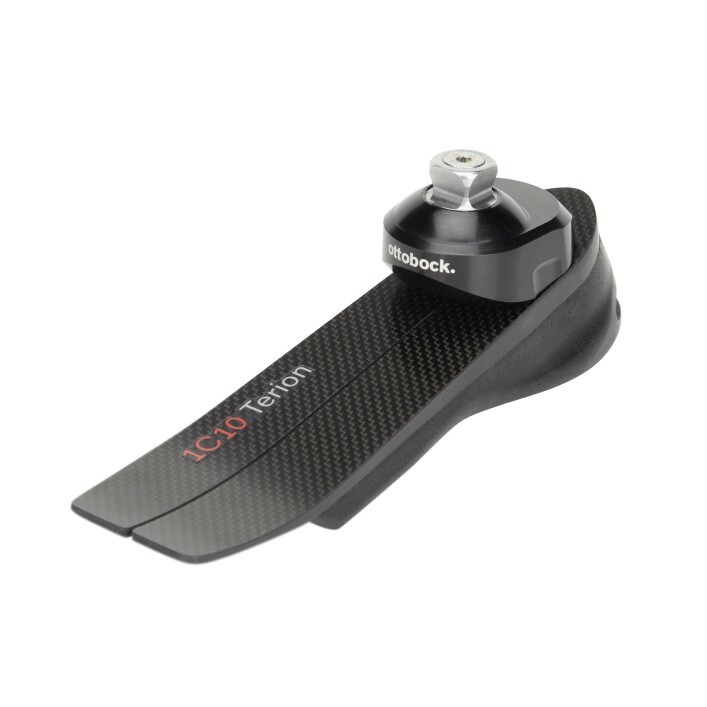 Based on the natural model, the 1C30 Trias prosthetic foot features a strikingly attractive appearance in addition to very comfortable mobility. Triton is designed for ambitious individuals who navigate varied indoor and outdoor environments and place a high value on uncompromised response and control even when performing high impact activities.